Showing 31 - 45 of 121 articles tagged "91st Academy Awards"
“We’re good! We’re good!” producer Donna Gigliotti said while laughing Thursday afternoon. 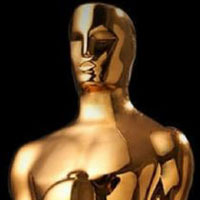 Variety reports that due to logistics and timing, another act will perform their Oscar-nominated song "All the Stars. The network is hoping “The Official Oscar Game" will drive interest to its host-less ceremony. The network is testing a new format Sunday to make the ceremony seamless with ad breaks. American Idol: A New Journey Begins, airing at 1 p.
Why can't the Oscars do anything right? "Let’s face it," says Steve Pond. Academy on Oscars' commercial break controversy: "Inaccurate reporting and social media posts" led to a "chain of misinformation"